Socka, Fortissima Grandee 176. 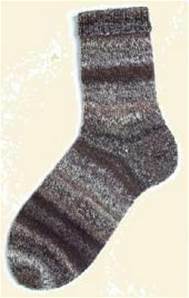 An ombre shaded self-patterning 4 ply sock knitting yarn. Machine washable blend of 75% wool, 25% nylon. 100g ball / 420m.